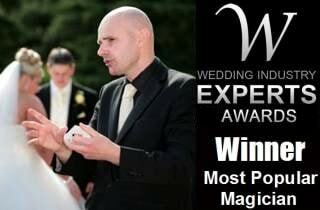 If you are looking for a magician in Uttoxeter or East Staffordshire, look no further. David Fox is the premier magician, illusionist and mind-reader for special events around Uttoxeter and East Staffordshire. Many visitors flock to this beautiful part of the Midlands every year. The Peak District National Park and Alton Towers are two of their prime destinations. A magician of David's exceptional pedigree and caliber is fantastic for all types of events, from weddings to christenings, communions to parties, and barmitzvahs to business launches, David Fox is the magician for your red letter day. If you are looking for a sensational magician along the vibrant A50 and A38 routes, then David Fox will be more than delighted to discuss your unique entertainment requirements. David is both a nationally and internationally renowned magician, and frequently performs his tremendous brand of cutting edge magic at functions throughout Uttoxeter, Burton-Upon-Trent, The Peak District and Derbyshire. Whether you are looking for a magic man to promote your new business product, or simply want to impress your family and friends at a special birthday party, David Fox has a sensational repertoire of magical effects to make an ever-lasting impression on any audience. Indeed, David captivated audiences at a recent launch event at a Toyota car showroom in the area and also mesmerised the pupils of a local primary school with his exceptional parlour show of illusion. As well as performing magic, David can also deliver a stimulating study course of magic which is ideal for schools, colleges, training days and social clubs. 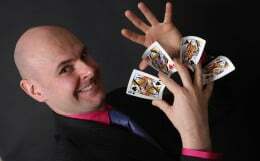 If you want the best in and around Uttoxeter, call Magic Circle illusionist David Fox now.